Ozzy Osbourne will be the next rock star to star a luxurious spectacle to appear in Las Vegas. Following in the footsteps of Elton John and Rod Stewart, the star veteran heavy metal may star in a show that is tentatively being called "Hell Gate." 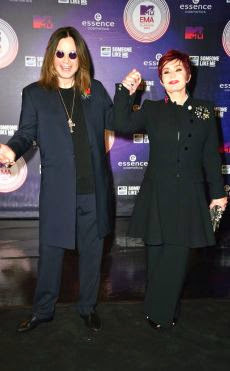 The information was given by Sharon Osbourne, the businesswoman and the singer’s wife in an interview with The Sun. According to a source close to the branch of shows in Las Vegas, the demand for a show Ozzy in one of the city's casinos certainly exist, since he never did something and the artist would certainly present something quite different and outside the box. If all goes well, Ozzy will debut his show at the time of the next Halloween (October 31st). Before that, the singer will return to the stage by traditional means. Now that the tour he did with Black Sabbath ended, Osbourne is resuming his solo career. The first show held in Sao Paulo when it ends the first night of the festival Monsters Of Rock April 25 at Anhembi.